A detailed account of two photographers’ river trip through Glen Canyon, a land of amphitheaters, arches, and ruins. 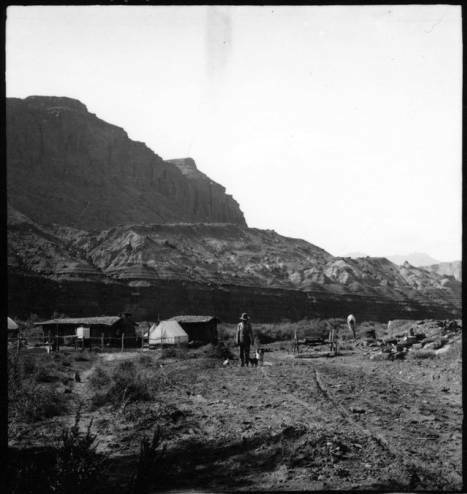 Emery and Ellsworth Kolb’s experience in Glen Canyon began at the remote settlement of Hite, Utah. There, the two brothers recovered from the previous trials of Cataract Canyon and wrote home to their families. Staying only a night, the duo waved goodbye to local legend Cass Hite and began the next leg of their trip to Bright Angel, a four- day journey to Lee’s Ferry. 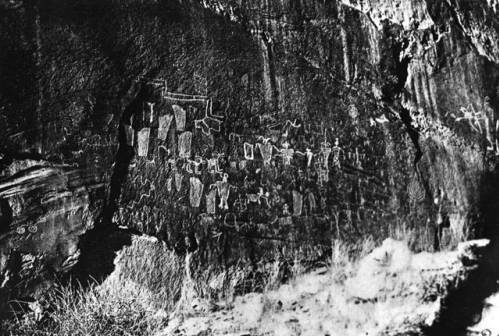 From November 3rd to November 6th, 1911, the brothers became some of the only people to photograph the original landscapes in Glen Canyon, which is noted for ancestral native ruins, arches, amphitheaters, domes, and hieroglyphics. This area is now inundated by Lake Powell, and modern boat access is much easier and more comfortable than negotiating the river in an early 20th century Racine Co. wooden craft used by the brothers. 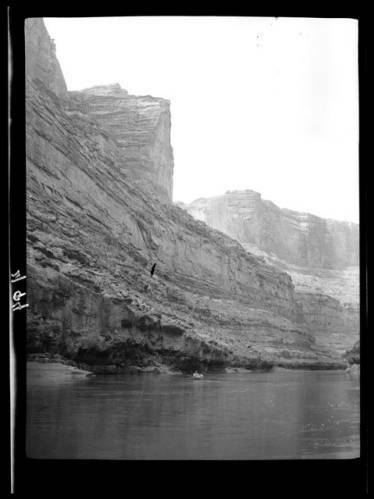 Emery’s and Ellsworth’s primary motive for the expedition was to capture material for their photography business, and they took full advantage of Glen Canyon’s steady waters and picturesque views to obtain film that would captivate the public for decades to come. The brothers enjoyed exploring the region’s cliff dwellings and natural stone bridges. Ellsworth described in his book a fascination with those near the confluence of the Escalante River, remarking, “What a story these cliffs could tell!” He then likened the tribes of the Southwest to European factions, making their last stand on the cliffs, and comparing the Colorado to the other great desert river - the Nile. At Deep Canyon, the brothers refocused on the river as it meandered through a sheer, narrow gorge. They had trouble finding a suitable campsite above the confluence with the San Juan; the few banks consisted of quicksand and mud. Under a full moon they drifted past the San Juan and into a black gorge where no moonlight entered. When they heard roaring water, the brothers scrambled out of their boats onto the bank for the night. The next morning they discovered the rapid they had heard was nothing more than swift water, and were astounded by the ominous Navajo Mountain towering above. This sighting marked a sort of premature homecoming, as they had often seen the rounded peak from their home at the Grand Canyon. After spending a day searching unsuccessfully for Rainbow Bridge, the brothers set their final camp in Glen Canyon at Ute Ford, otherwise known as the Crossing of the Fathers. Using a swift current and some hard paddling, Emery and Ellsworth floated into Lee’s Ferry the evening of November 6th. They got a hot meal and made boat repairs before taking on the last leg of their journey - into the Grand Canyon. 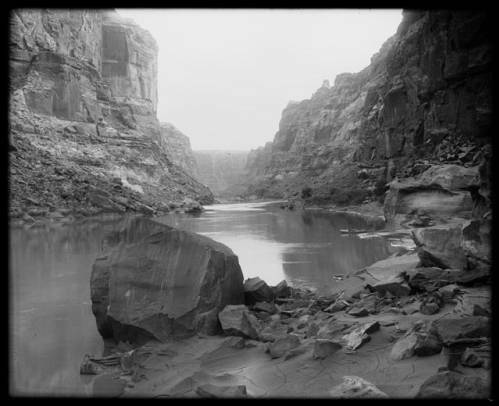 Without the constant demands of whitewater, Glen Canyon gave the two photographers much-welcomed free time to explore the river and its tributaries. The brothers had no way of knowing it at the time, but their careful descriptions and photography still provide a rare look into a lost canyon. 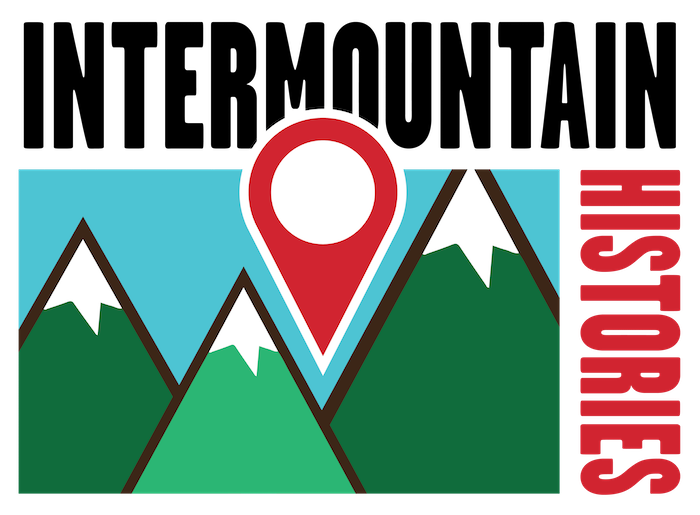 Jonas Dunlap, Northern Arizona University, “The 1911 Kolb Expedition in Glen Canyon,” Intermountain Histories, accessed April 19, 2019, https://www.intermountainhistories.org/items/show/57.